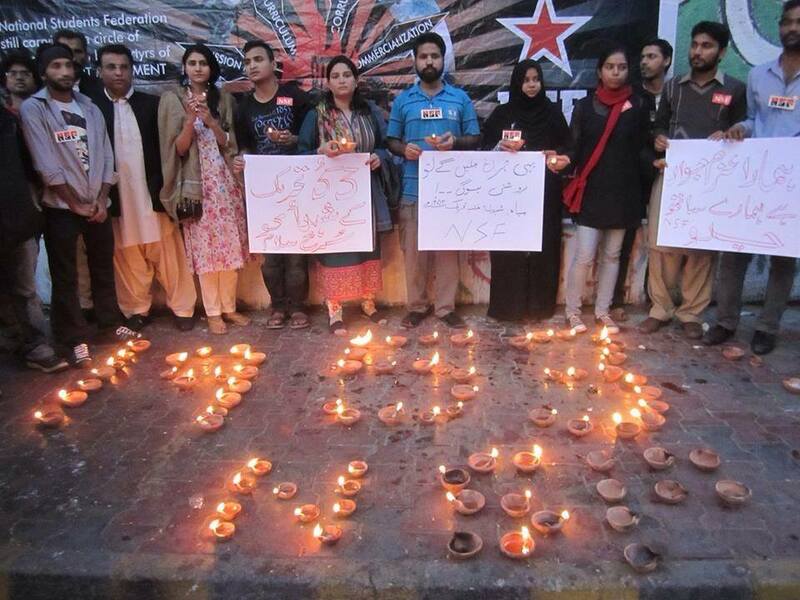 D.S.F Karachi Zone is holding free-of-cost Medical Camps in Shanti Nagar area and Nehru Goth, in Gulshan-e-Iqbal Karachi. 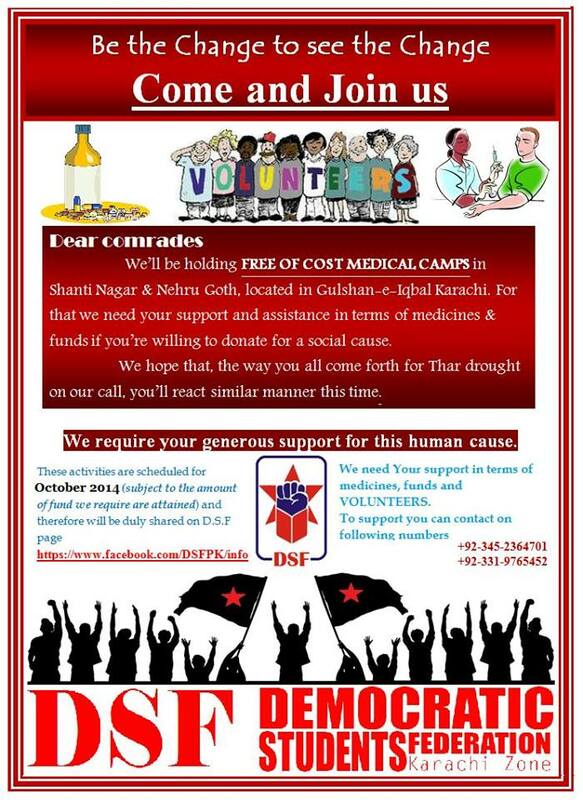 For that friends and comrades we need your support and assistance in terms of Medicines, Volunteers and Funds if you are willing to donate for a social cause. We hope that the way you all came forth for Thar drought on our call, you will respond in a similar manner this time as well.